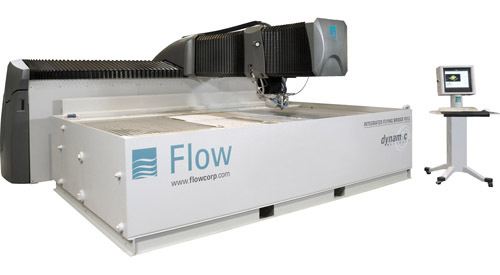 Using the best water jet technology by Flow we are able to execute jobs to precision and greater efficiency. This world leading technology allows us to create practically any design and artwork you like, no matter how big or small. Water jets are perfect for creating corporate logos in decorative designs on walls or inlaid into floors, counter-top parts, faucet and sinkholes as well as a smoother radius off sharp edges of slabs cut with saws. 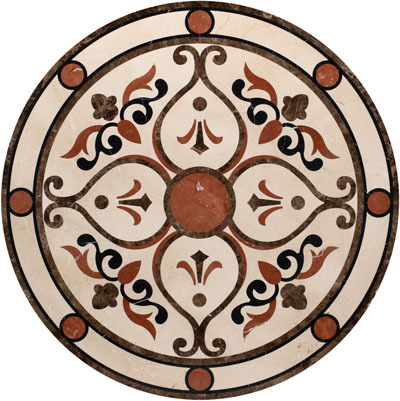 Natural stone floor medallions are executed by our master craftsmen in marble and granite. The stone medallions have been engineered to fit into stone floors or hardwood floors. You may customize any waterjet marble inlay with the elements from other flooring medallions or borders. Water jet stone medallions are made by Shang-Ding by cutting natural stone slabs with a water jet allowing us to assemble as tight as possible. Stones are polished and sealed and there are no gaps or grout between individual pieces. You don't have to worry about cleaning the grout or matching grouts in color. Our computerized water jet equipment allows us to cut stone to incredibly close tolerances. You can bring in a sample image of what you would like for us to recreate for you, or we can custom design something especially for you !